My latest PopMatters article is now live: Categorizing Videogames Reboots. The inspiration for this article, which discusses two different methods of freshening up a franchise in a jovial way, comes largely from a similar talk given by David Gallagher of Crystal Dynamics at a recent IGDA talk. David mentioned other examples of reboots, but did not go as in depth into the concept as I we could go. Recognizing that not all reboots function the same way is important in figuring out what types of reboots work and do not work for certain franchises. Indiana Jones and the Kingdom of the Crystal Skull, for example, does not attempt to freshen up the series in the same way Batman Begins refreshes the superhero film. Awhile back, Scott and I discussed the upcoming Lara Croft reboot and game reboots in general on the EXP Podcast. Thus, it was fitting Crystal Dynamics were discussing the concept of the reboot in the first place. I see Lara Croft and the Guardian of Light as a "centaur reboot," and an incredibly successful one at that. To some extent, I think the game works as a primer for its subsequent franchise reboot. Before Guardian of Light, I had little interest in revisiting Lara Croft. My enjoyment of Guardian raised my awareness of Crystal Dynamics and reminded me I still enjoy raiding tombs. In some ways, the game was a low-risk way of testing the waters. It helps, of course, that the game was fantastic. 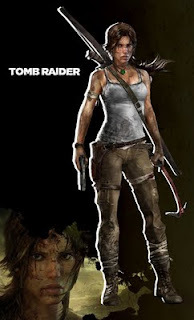 As for the upcoming major Lara release, it seems to be a "fashion reboot," reclothing itself in more serious attire. Based on what little material we have available, the game looks like it would not appear the way it does were it not for Uncharted 2. This is not to say Lara Croft is trying to copy it or exploit familiarity with Drake, but that the grounded and weathered aesthetic translates well into a different franchise. 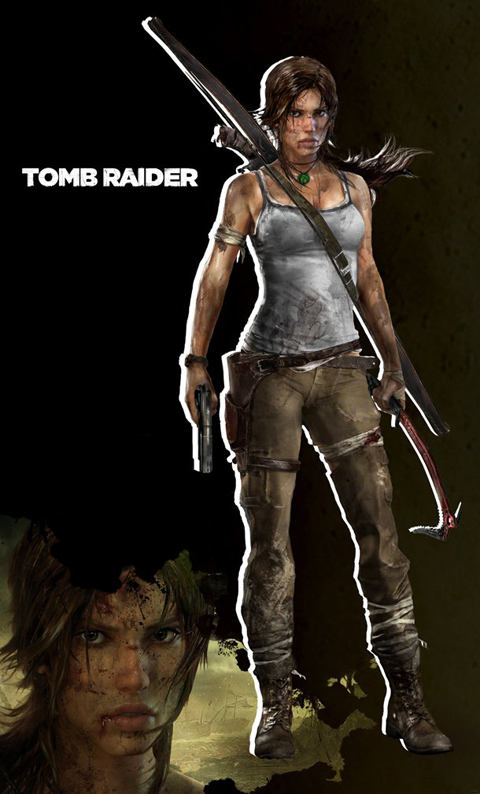 That being said, the severity of abuse on Lara in the marketing images is startling. Drake might tear his pants and scuff his shoes, but he maintains an 'Indiana Jones' movie-star appearance. Lara looks ragged and beaten down. It may turn out Lara becomes more serious and emotionally significant than Drake, a true heroine instead of a movie star. If executed well, we may all be grateful to see Lara Croft rise from the dead.